Average price of AZERI LT CIF, extracted at Azerbaijan's Azeri-Chirag-Gunashli block of fields, was $61.55 per barrel on Jan. 7-11, or $4.28 more than the previous week. The highest price of AZERI LT was $63.35 per barrel, while the lowest price was $59.63 per barrel during the period. Average price of URALS (EX-NOVO) was $56.91 per barrel, which is $5.04 per barrel more than the previous week. 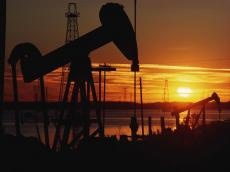 The highest price for URALS was $58.71 per barrel and the lowest price was $55.13 per barrel on Jan. 7-11. Average price of Brent Dated was $58.69 per barrel on Jan. 7-11 or $4.5 per barrel more than the previous week. The highest price for Brent was $60.46 per barrel and the lowest price was $56.94 during the period.